Are you searching for an affordable yet effective treadmill? If so, you’ll be interested to learn more about what the Weslo Cadence R 5.2 treadmill has to offer. Finding a treadmill for under $500 that offers you a high-quality workout experience is tough. You may have looked at some of the higher-end treadmills in envy of the beneficial workout features they have available. However, sometimes simpler is better – especially when it’s still effective at the same time. That’s the bracket that this Weslo treadmill falls into. We were surprised to discover the number of favorable features that it comes with. We’ve researched this treadmill in-depth to provide you with all the information that you need to know. By the end, you will have a much clearer image of whether or not this treadmill is the right choice for you. The motor that’s equipped to this Weslo treadmill is impressive, considering how affordable it is. While there are some noticeable similarities between the R 5.2 and G 5.9 treadmill, the R 5.2 comes with a more powerful motor. With a Max Motor that operates with 2.5 CHP of power, you’re able to reach a maximum speed of 10 mph. This is plenty for most people who are looking to use the treadmill for walking, jogging, and even running. We liked how you can alter the speed with smaller increases of 0.1. As a result, you’re provided with complete control over how you exercise. Customers like how you can be very specific about the speeds available. Since this treadmill is motorized, you’ll have to connect it to a power circuit with a 120V system. They provide you with a plug that’s around 76” in length. So, you can be sure to connect it without any hassle. 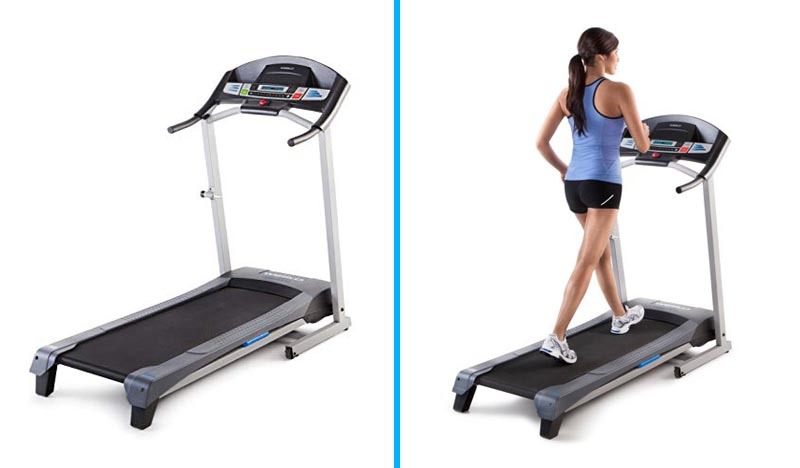 Incline features are a major feature that is a must-have for many treadmill users. That’s why we were glad to find that the Weslo Cadence R 5.2 treadmill comes with an incline mechanism. It operates on a manual system and there are two levels that you can adjust the incline to. We didn’t expect a treadmill for under $500 to come with any incline features, so the fact that it’s manual isn’t a big issue. 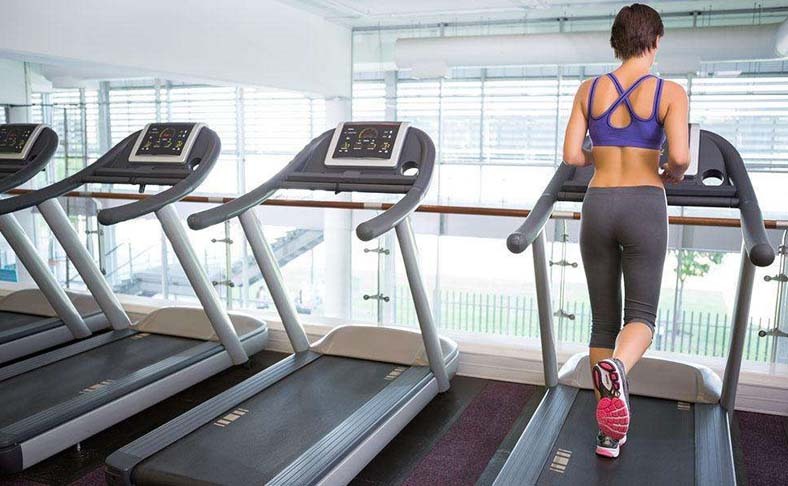 If you are after a treadmill with automatic incline features, you’d need to raise your budget. 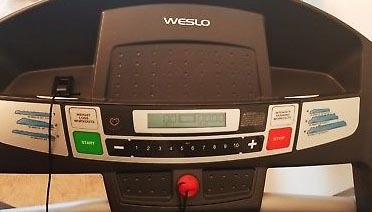 Having said that, this Weslo model provides you with more workout options that most other treadmills within this price range. An incline is a great option for people who want to add a more challenging aspect to their workouts. You can walk, jog, or run up the incline to raise the intensity for better fitness results. An LCD display has been fitted to the Weslo Cadence R 5.2. So, how well does it function? It’s a very simple yet useful display. You are provided with the number of calories burned, speed, and distance. As a result, you can easily track your workout progress. Being able to clearly track the statistics from your workouts is a fantastic way to improve. You can set a target based on speed, distance, or the calories burned to ensure that you’re always progressing. Moreover, we were surprised to find the number of workout programs that you can access from this LCD display. There is a total of six workout programs available. This is a good range of options that enables you to select the best one to suit your workout goals. Alternatively, you could choose to set your workouts manually. It’s super simple due to the buttons that have been clearly labeled with numbers between one and ten. This allows you to quickly set your preferred speed to start exercising with no hassle. Are you worried about using a treadmill in a smaller space? Well, with this Weslo treadmill, you don’t need a large space. This is a result of the space saving design feature that it comes with. 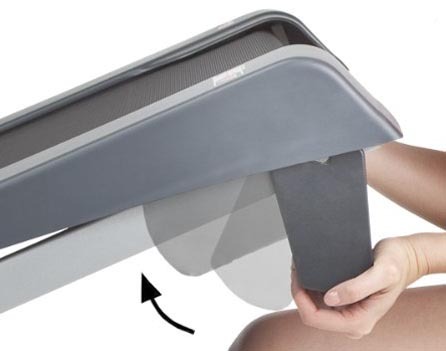 It lets you fold the treadmill up vertically with ease. This is the same mechanism as the Weslo G5.9 treadmill. We found that this makes it a lot easier to store it away when you’re done working out. So, you can unfold it out of storage and use it in a small area without having to worry about it taking up a lot of space. As soon as you’re done, fold it up and take it to a more suitable storage space – easy! You could even prop it in the corner of the room since it folds vertically. Weslo has made sure to design a treadmill that provides you with plenty of room to take large strides. The deck is 16 x 50” in size, which is excellent for people of all heights. Regardless of how long your legs are, you can feel confident in knowing that you have a lot of space to take big strides. In addition to the large deck size, they have also implemented comfort cell cushioning. As a result, you’re able to exercise without causing any impact on your joints. This is a great benefit for everyone who wants to exercise with this treadmill. It prevents any knee problems, which can be common among runners. In particular, it’s fantastic for people who have knee issues. There is minimal impact on the joints which means you can recover faster between workouts. Faster recovery means you can workout more and experience better fitness results. A major flaw that many treadmills come with (even the high-end ones) is noise. However, customers have been pleased to report that this Welso Cadence R 5.2 treadmill produces minimal noise. This is an awesome benefit if you like using the treadmill while watching TV. You no longer have to worry about turning the volume up all the way to try and drown out the sound of the treadmill. While the motor doesn’t operate 100% silently, it is a lot quieter compared to other treadmills. When it comes to purchasing treadmills online, many people have a common concern surrounding the assembly. Is the assembly with the Weslo R5.2 difficult? Thankfully, the process is pretty easy! For most people, it’ll take around 45-60 minutes. The motor, belt, and deck are already put together for you as they are attached to the front of the frame. To start off assembling this treadmill, you need to put it on its side. This allows you to connect the handrails, console masts, and console with all the wires. They provide you with a couple of hex keys, however, you’ll need to have some needle-nose pliers and a screwdriver handy. Simply follow the instruction manual that comes with the treadmill and you’ll have it up and ready to use in no time. If you’re interested in purchasing a treadmill to use in your home, you should know that the majority of them require some simple maintenance – and that’s the case for this Weslo model. However, maintaining this treadmill is hassle-free. One of the main areas of concern is the positioning of the running belt. After prolonged use, some users find that it becomes misaligned. If this happens, don’t worry, it’s a quick and easy job. All you need to do is use a hex key to turn the screws on the back of the deck. Keep turning until the belt becomes aligned again. It’ll take a couple minutes at most! Furthermore, Weslo provides you with some lubricant. If it ever starts to feel unsmooth or makes squeaking sounds, goes ahead and use a small amount of the lubricant. Although, this is something that you won’t need to use very often. It’s also a good idea to clean the treadmill regularly. A lot of dirt, fibers, and dust can build up and cause problems. So, to ensure that this treadmill lasts you for a long time, be sure to keep the belt clean. so calorie tracker isn’t completely accurate. All in all, for a treadmill that’s available for under $500, we didn’t expect it to come with as many great workout features. 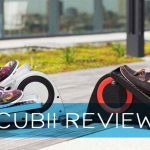 A powerful motor, incline settings, cushioned deck, folding design, and workout statistics are all fantastic features. It also offers you workout programs and quiet operation. Not to mention, the construction quality is of a high standard. Users have mentioned how it feels very sturdy, even while running and pushing the motor to its maximum potential. While the manual incline feature may not be ideal for some users, the fact that you have an incline option at all with such a cheap treadmill is remarkable. 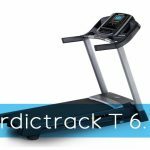 The Weslo Cadence R 5.2 is a treadmill for people wanting to workout on a tighter budget. We would also recommend looking into the Weslo Cadence G5.9 treadmill. It comes with many of the same features (aside from a slightly less powerful motor) and is available at an even lower price. If you were considering this treadmill, use our review above to help you decide if it’s the best choice for your needs. Treadmill vs. Cross Trainer – Who’s the Winner?